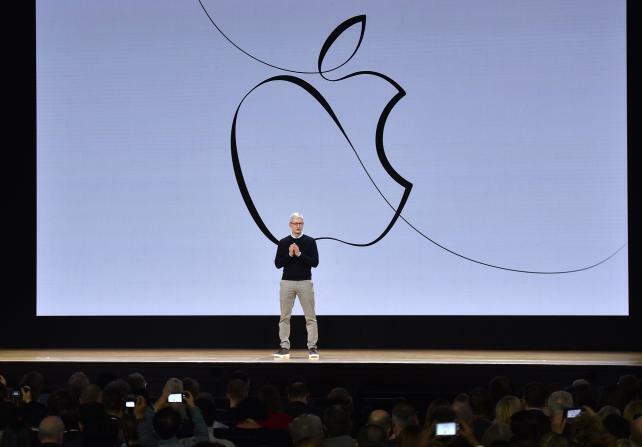 Tim Cook, chief executive officer of Apple, speaks during an even last month introducing a low-cost iPad geared toward students. The company agreed last month to buy Texture, which lets users subscribe to more than 200 magazines for $9.99 a month. Apple cut about 20 Texture staff soon after, according to one of the people. Job reductions at Texture aren't necessarily a sign that the news subscription effort is off to a slow start. Apple rarely cuts positions, but after the company acquired Beats, it laid off about 200 people. This time, Apple cut roughly 20 people from Texture, including assistants, software engineers, and managers, according to one of the people familiar with the matter. Texture had about 100 staff.